LOOKING FOR AN OLDER VERSION OF THE MAP? 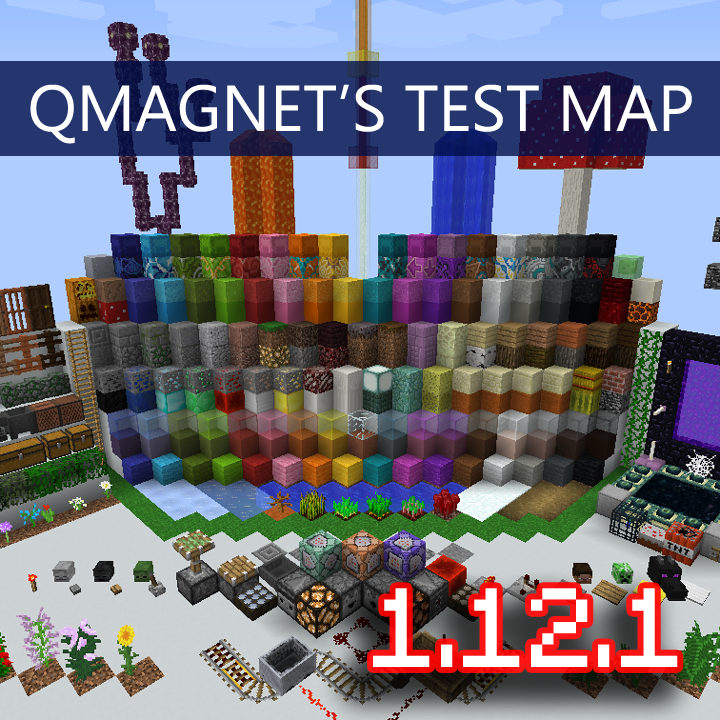 All previous versions of the Test Map from 1.7.4 and up are available by click on Other Downloads located as a tab link directly above this description. This is my Minecraft Test Map. It was specifically designed to showcase Resource Packs but has many features for Map Makers to use for their own projects. Feel free to download and use this for your own purpose. You may record or stream this map, but please credit me in your video description so your viewers know where to get the map and who created it. For more info, please view the youtube video. The 1.12.X version of this map is NOT compatible with 1.10. You should use 1.12.X but 1.11 may also work. For the best experience, run this in the Minecraft version is is made for.